Write the heading and the date. Draw Figure 8.1.20 and label it. Glue in the Results table. Record your data in the table. There is something not quite right about this diagram. Can you spot the mistake(s)? When the work done of one side of the fulcrum equals the work done on the other side of the fulcrum we say that the lever is balanced. 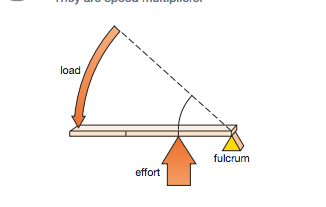 Manipulate the two variables from each side of the fulcrum and find a pattern. Describe the Law that you have identified in words. Translate this into a mathematical law. Find examples of First-Class levers and explain why they are called force-multipliers. Use the concept of magnitude and direction to explain what the arrows are demonstrating in each of the diagrams below. Two similar machines were used in ancient times to break down castle walls and to generally launch projectiles. One was the trebuchet and the other the catapult. ​Click on the buttons to the right to start your research. is more efficient than the catapult. 3. 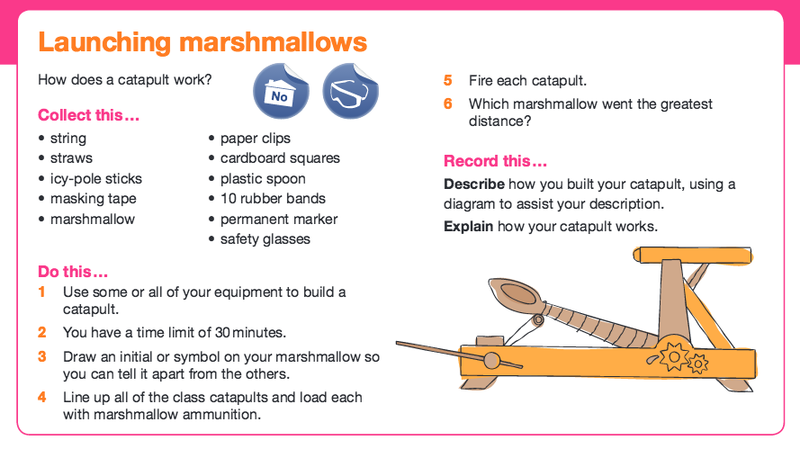 Design your own catapult by using the materials provided. 4. Draw your catapult design using a ruler and a pencil. 5. Describe how you will build your catapult. Writing a dialogue to explain the physics of the catapult. Galileo used the writing form of a dialogue to explain scientific phenomena, for example the mechanism for the changing of tide-heights. Use your catapult design drawing to draw a scientific diagram of the lever action of the catapult. 2. Explain how the catapult works. Use all of the following terms to describe how the laws of physics were used in the catapult. You may use other appropriate science terms as well. 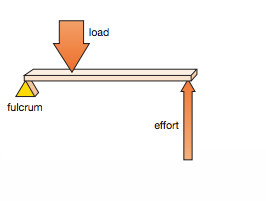 relationship between length of effort arm and the length of the load arm. 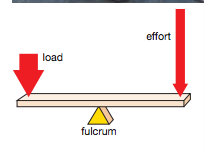 relationship between the force of effort and the force of the load.